Simon is an Investment Manager specialising in funding competition and antitrust disputes. Sitting within our Competition Litigation Department, Simon is responsible for sourcing, structuring and funding competition disputes. He is recognised for taking an open-minded, innovative and flexible approach to funding claims, be it on behalf of individual claimants or group/collective actions. 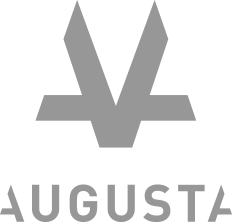 His expertise in this area enables Augusta to fund an especially broad range of competition disputes, including standalone and non-damages claims, in addition to follow-on damages claims. Prior to joining Augusta, Simon was a Solicitor at Hausfeld. He acted exclusively for claimants in competition and commercial litigation, often on a funded basis. In his time at Hausfeld, Simon acted for multinationals, SMEs and private individuals in a variety of ground-breaking disputes. He also has experience of coordinating litigation on behalf of groups of claimants, as well as managing disputes in other European jurisdictions. Simon’s unique experience allows him to devise creative and practical funding solutions for claimants and law firms alike. Simon holds an LLM in Intellectual Property Law and a Postgraduate Diploma in Competition Law from King’s College London.